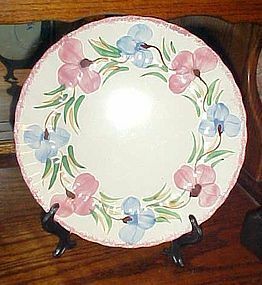 Blue Ridge - SWEET PEA - Colonial Dinner Plate. 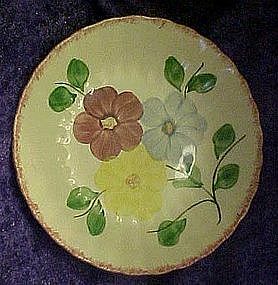 Blue Ridge Pottery by Southern Potteries, Inc. Pattern is Sweet Pea on Colonial blank. 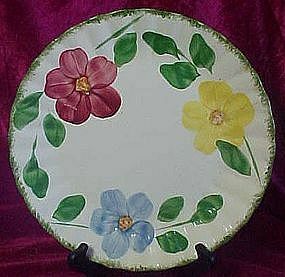 Measures 10 1/2".Hand painted Blue, pink, green and brown colors. Circa: 1930s - 1950s. Marked on the back. PERFECT condition, and I have 2 available. Both are excellent. Price is per plate. I combine shipping. Please send your zip code so I can calculate shipping. 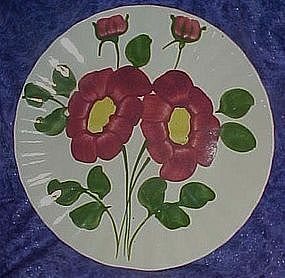 Blue Ridge Southern potteries 10 1/4" dinner plate in the mirror image pattern. Two red flowers that are a mirror image of each other. Perfect condition other than normal age crazing. HTis piece is marked. 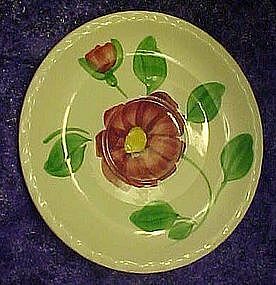 I have other pieces in this pattern. 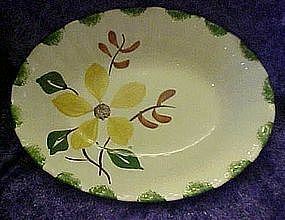 Blue Ridge Southern potteries saucer in the mirror image patter. One single red flower in the center with pie crust edge. Perfect condition. Not marked. I have other pieces in this pattern that are marked. 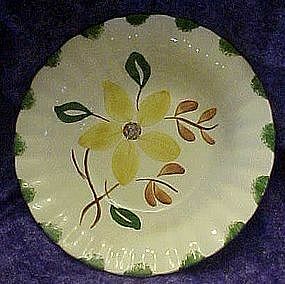 Blue Ridge Southern Potteries soup bowl in the Allegheny pattern. Measures almost 8" in diameter. No chips or cracks. Wonderful condition. Red blue and yellow flower center with red brush stroke edges.